Tomatoes are vegetable plants that are often planted in the yard or in pots. Maybe because tomatoes are plants that are very much of a kind and taste so many like them. But there are different experiences, this is planting sweet tomatoes. Maybe you are also interested in doing it. How to get sweet or sweeter tomatoes from the previous crop, is there a secret to planting tomatoes to be sweet? 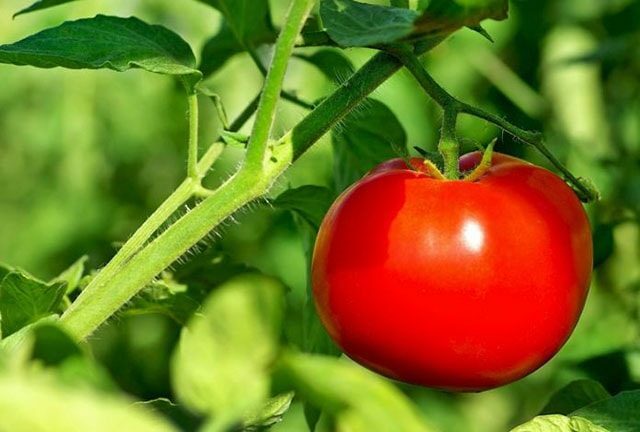 Waw, it turns out there is a secret to growing tomatoes so that the fruit is sweeter and tastier. Continue to see this article entitled “The Secret To Sweet Tomatoes“. Did you know that all types of tomatoes have different levels of sweetness between one type and another? Apparently, there are certain things and factors that affect the sweetness of tomatoes. Among the factors that affect the sweetness of tomatoes are plant chemistry, the amount of sunlight, soil, and temperature of growth. The balance between acid and sugar is the cause of the best tomato results. Tomatoes are considered the best when they have higher sugar levels than acid. Scientists conducted research on the secret of sweetening tomatoes. They concluded that the best taste of tomatoes was a mixture of acid, sugar, and chemicals that could be smelled from the outside. This is called the aroma of volatiles. While other scientists have been looking for genes that are responsible for this problem or heterosis. This heterosis can be found when two different types of tomato plants are crossed and produce tomato plants that are superior to the original parent. This is also related to the SFT gene which can produce florigen. How does this relate to growing sweeter tomatoes? The right size of florigen in tomatoes will have an effect on fruit growth. When the florigen is sufficient, the protein will instruct the plant to no longer grow the leaves but to focus on the flowers and then the fruit. The adequate amount of florigen in plants is also very important for fruit sweetness. At this time, the gene will increase the supply of sugar in the fruit so that it produces a sweet taste. That is the result of great science, but can you plant sweet tomatoes in your yard? If you want to get sweet tomatoes, choosing cultivars is the beginning you should do. Choose the type of tomatoes that are sweet and have large fruit such as beefsteak, this type often has sweeter fruit. In addition, the Grape and cherry variants are tomatoes that taste like candy. In addition, to get sweet tomatoes, choose the type of tomato that fits your area. According to the number of suns, the level of rain and the length of planting time. Choose an earlier time to plant it so that there is plenty of time for the ripening process. The ripe tomatoes from the tree will be sweeter. When planting tomatoes, give enough organic fertilizer and water the plants well so the yields are more satisfying and sweet. Besides the scientific method, there are other ways to grow tomatoes to taste sweet. Some people recommend adding Epsom salt or baking soda to the ground to get sweet fruit. Both of these substances are known to be able to stimulate sweetness in tomatoes. But this is not entirely true, because it has been proven that baking soda mixed with vegetable oil can be sprayed onto plants to eliminate pests. While Epsom salt for plants is useful for preventing decay in flowers, the way is to interfere with Epsom salt with water.